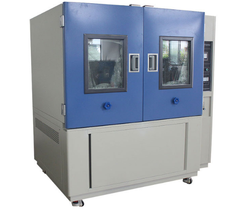 Prominent & Leading Manufacturer from Bengaluru, we offer digital dust chamber. Humidity Less than 30% RH non controllable. In our wide range of product, we have environment-friendly Dust Chamber for our clients. These products are appreciated for high durability. Used in Automobiles, electronics, Aviation, battery manufacturing, etc. these products are in line with international norms.